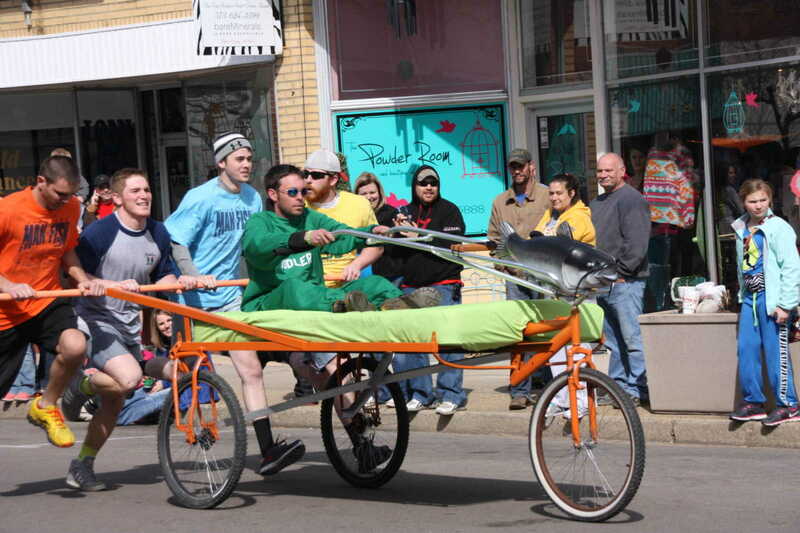 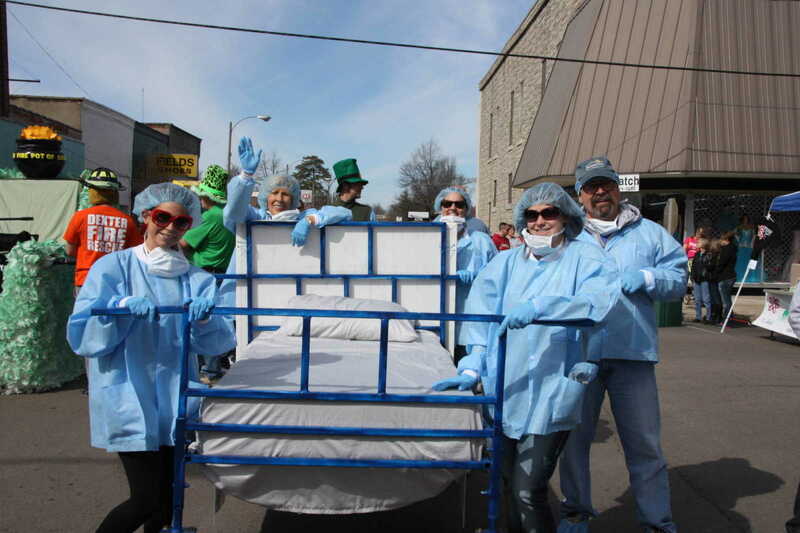 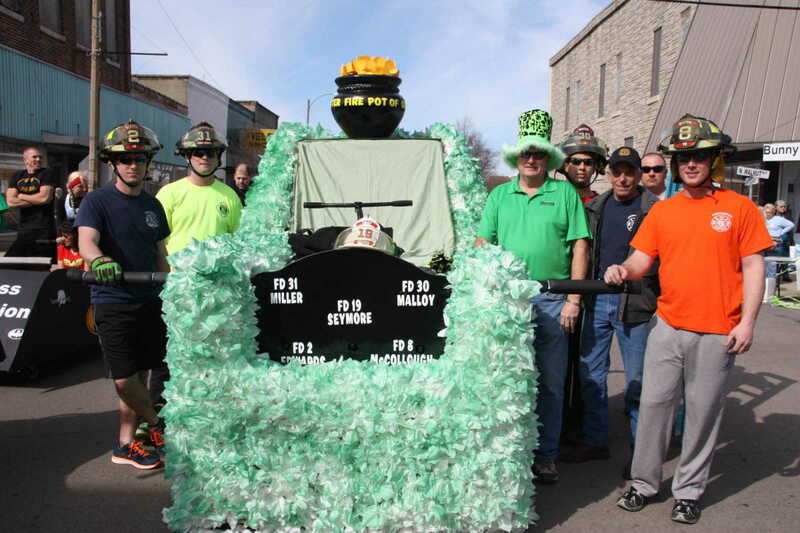 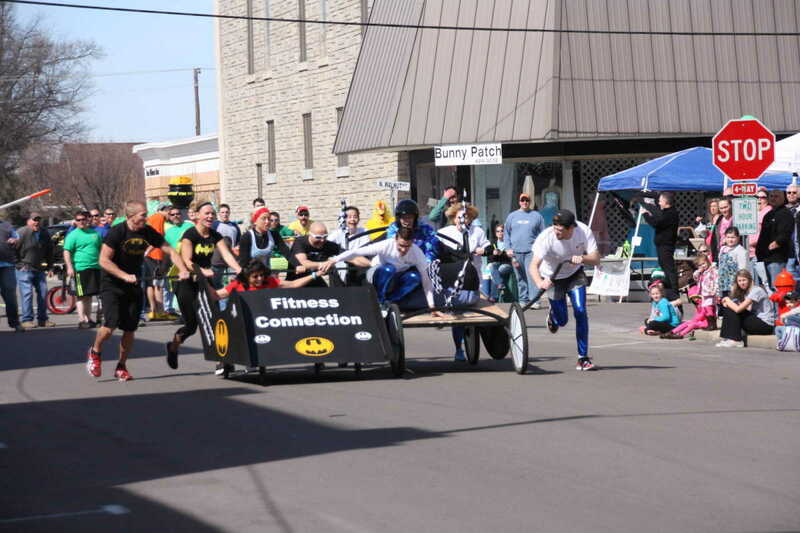 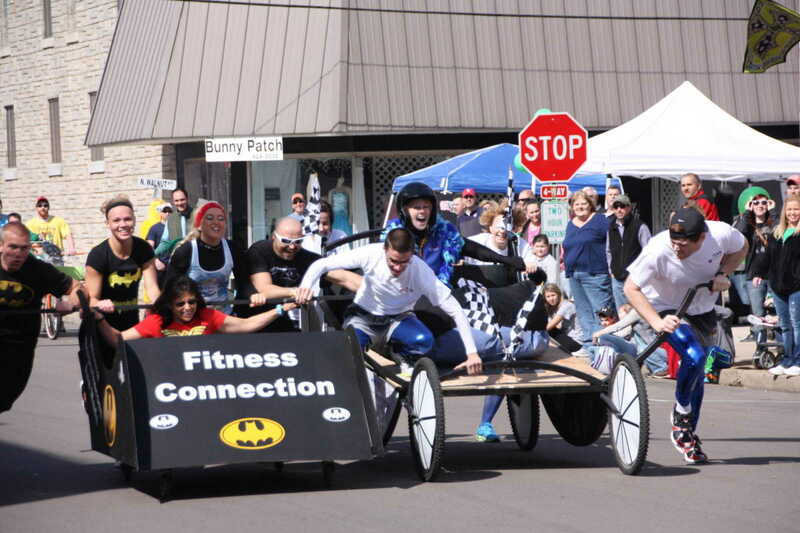 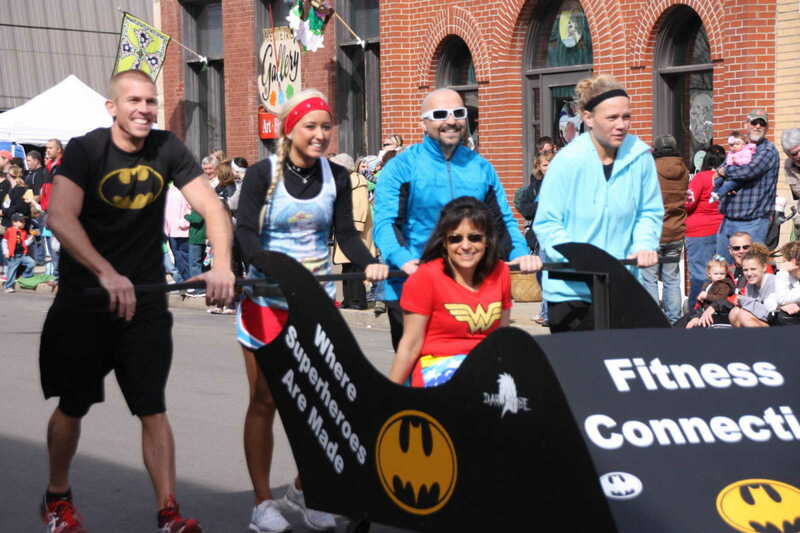 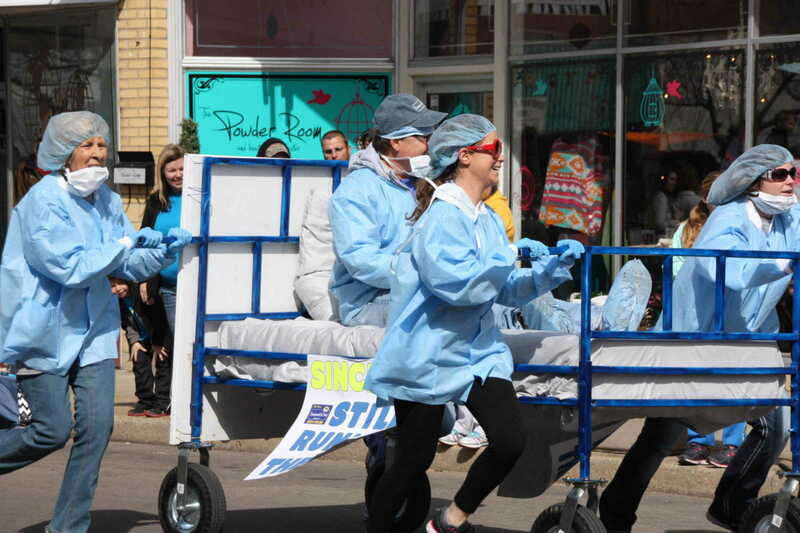 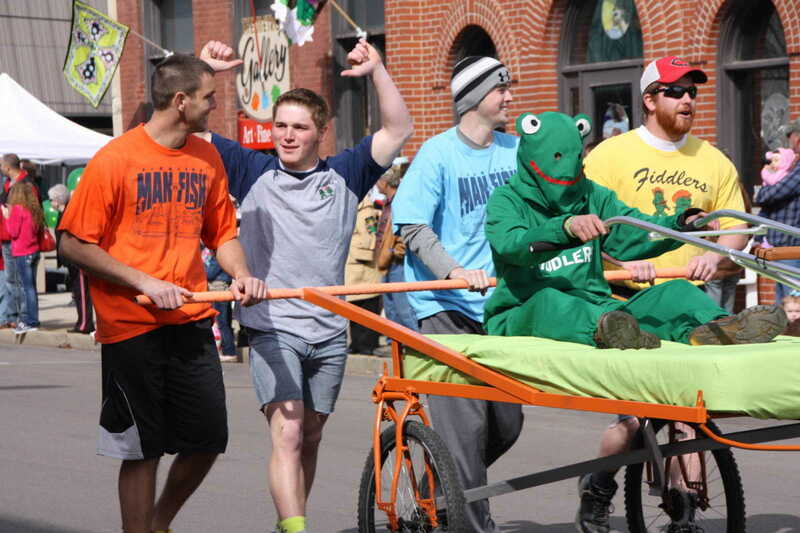 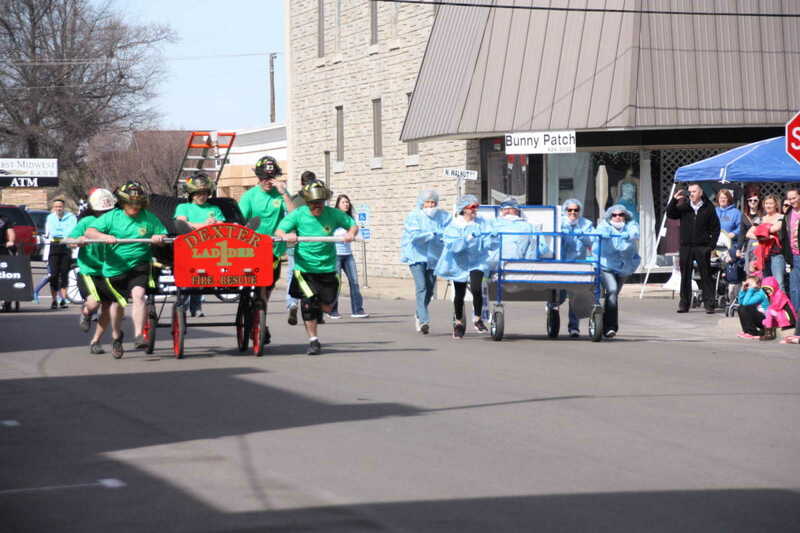 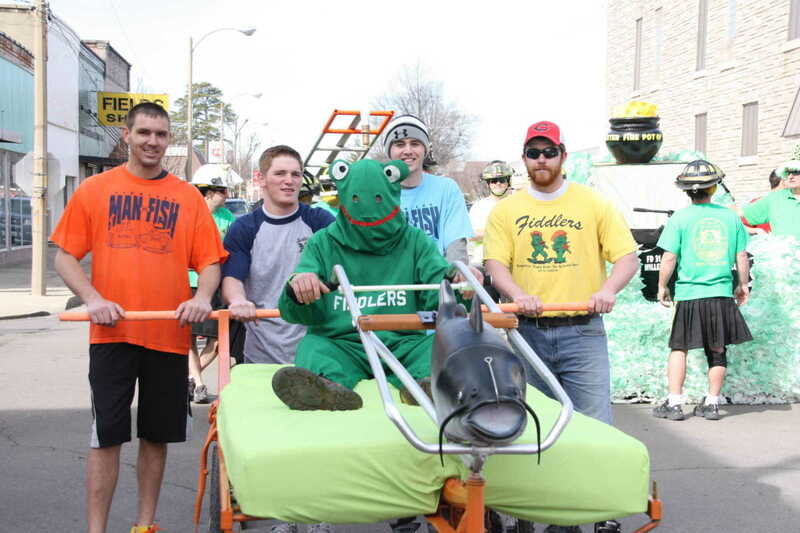 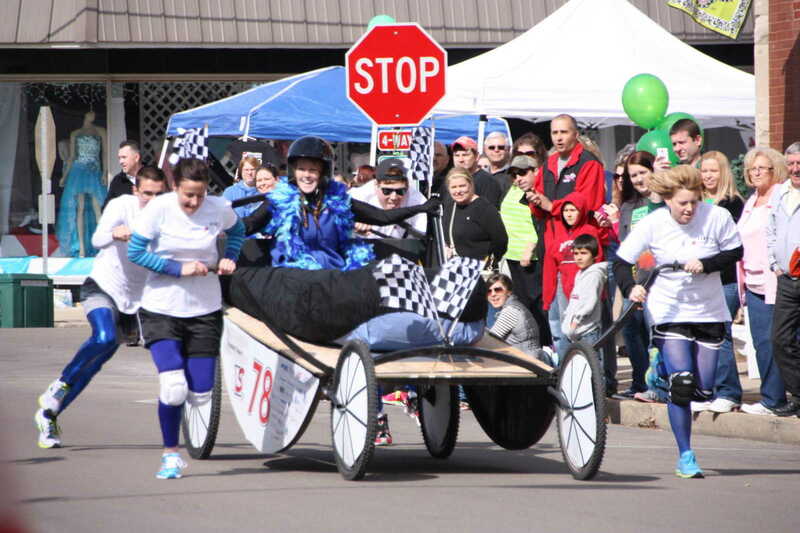 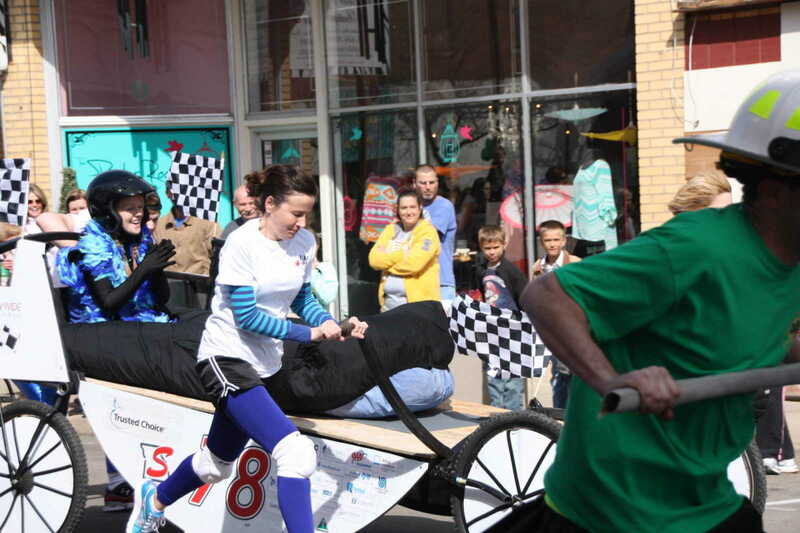 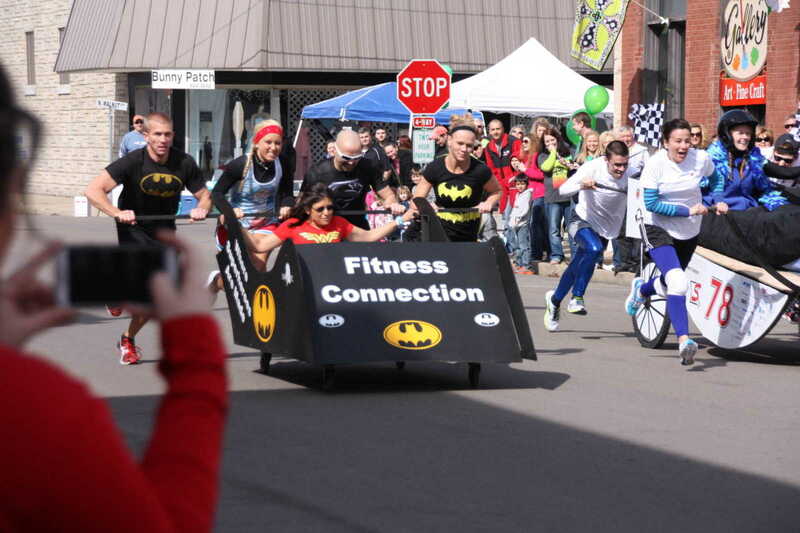 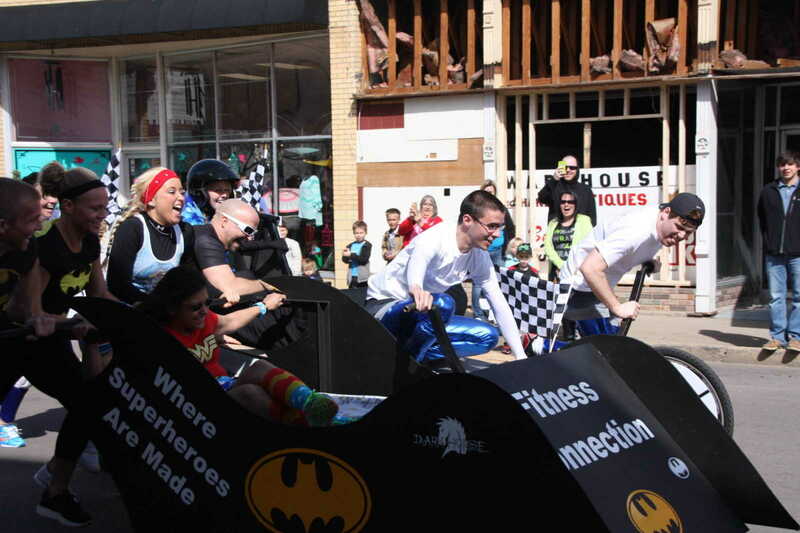 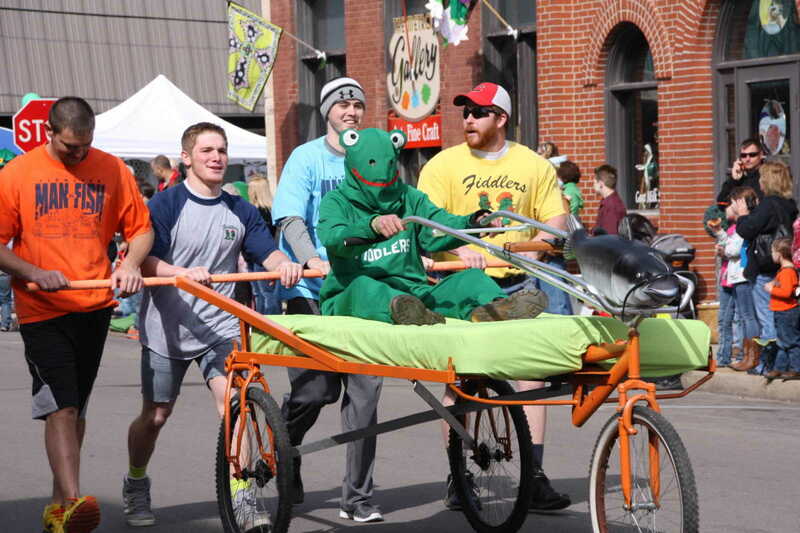 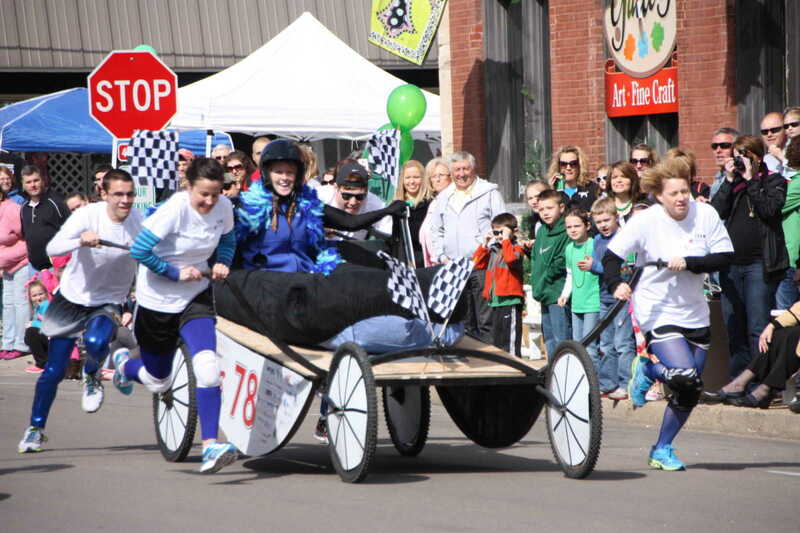 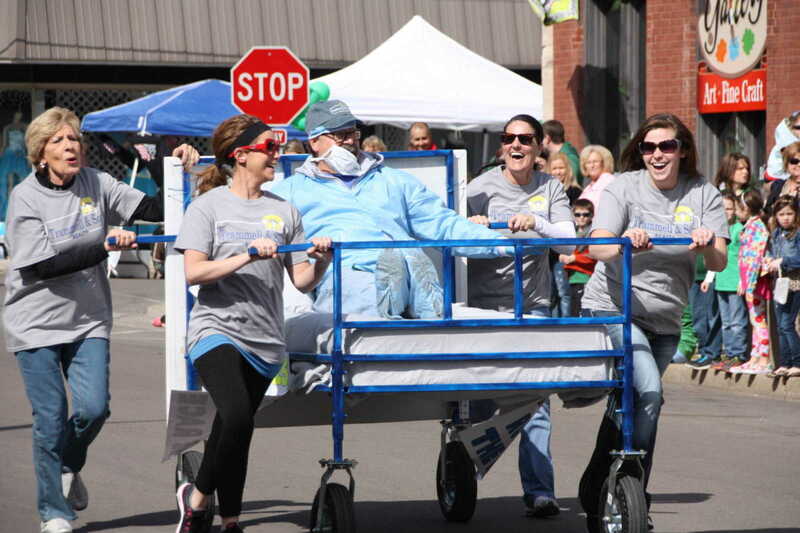 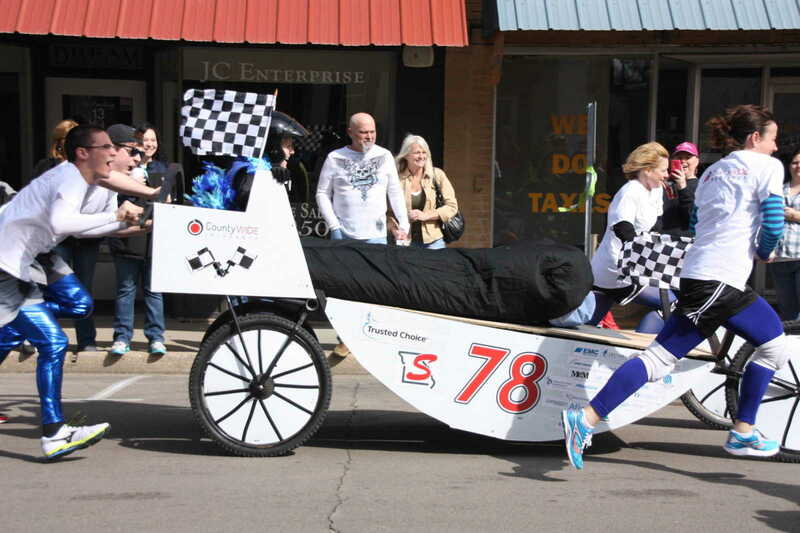 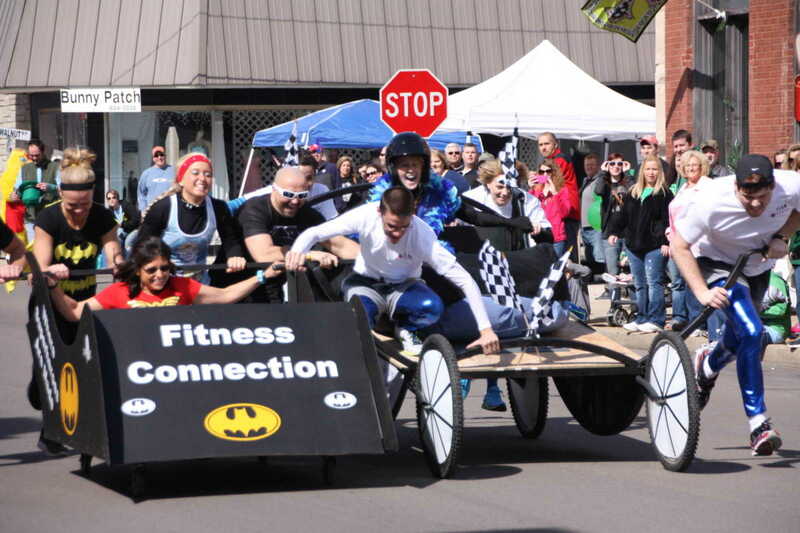 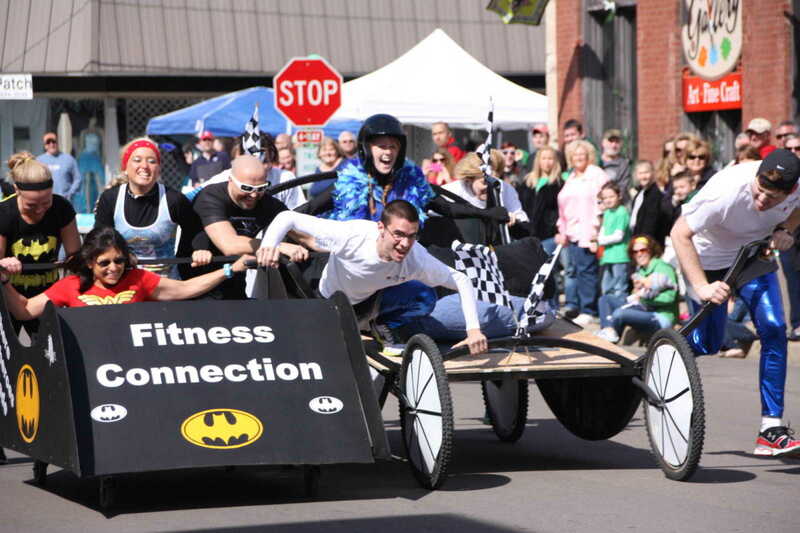 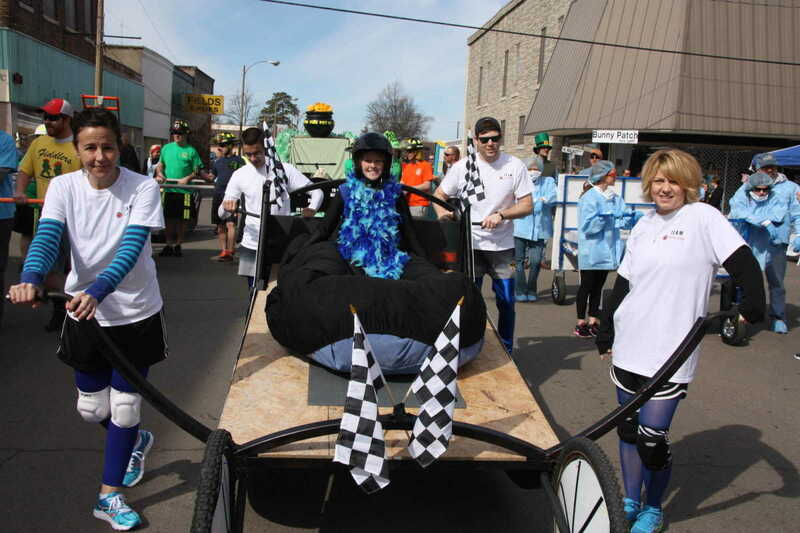 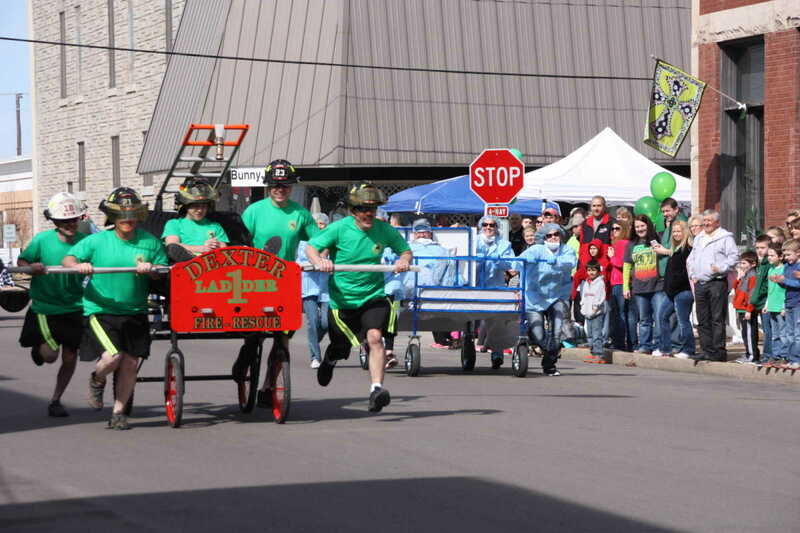 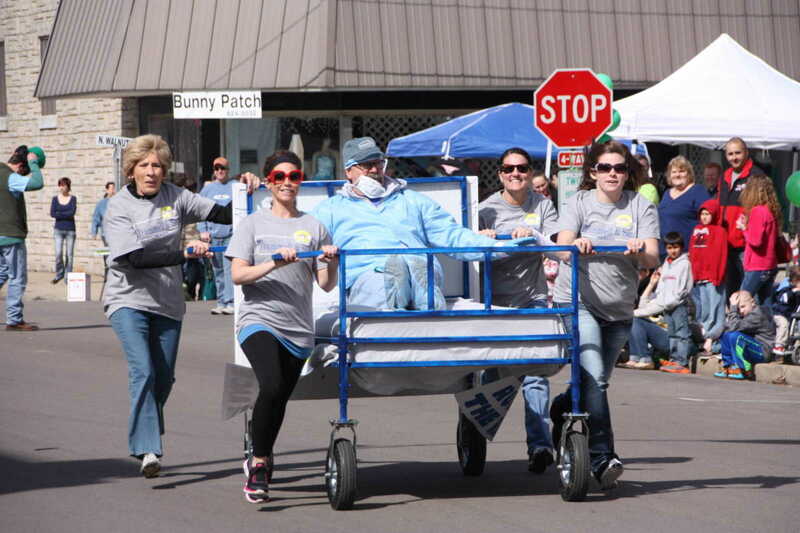 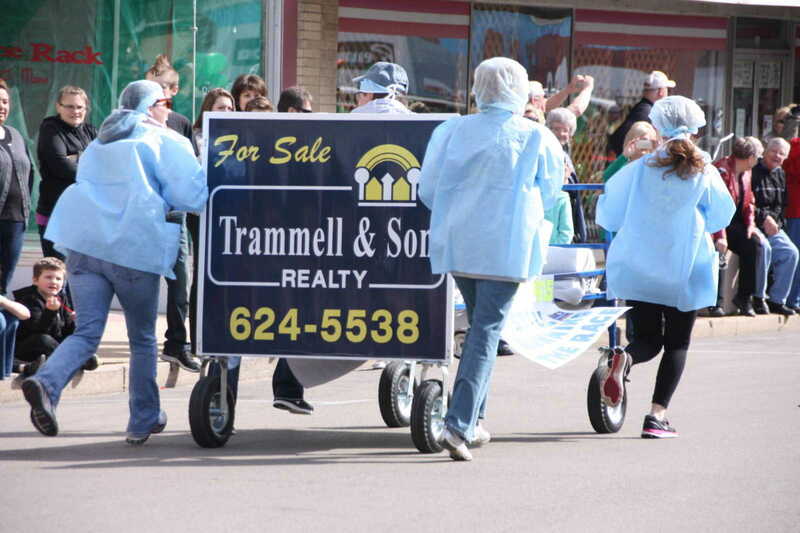 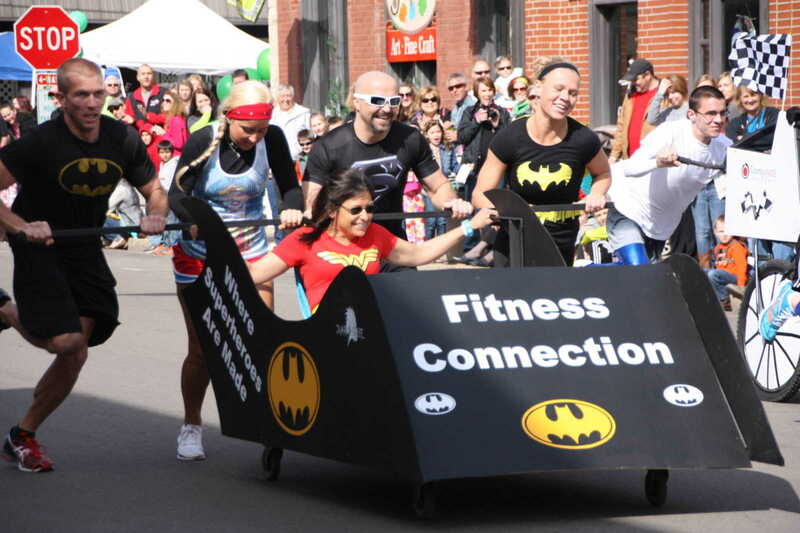 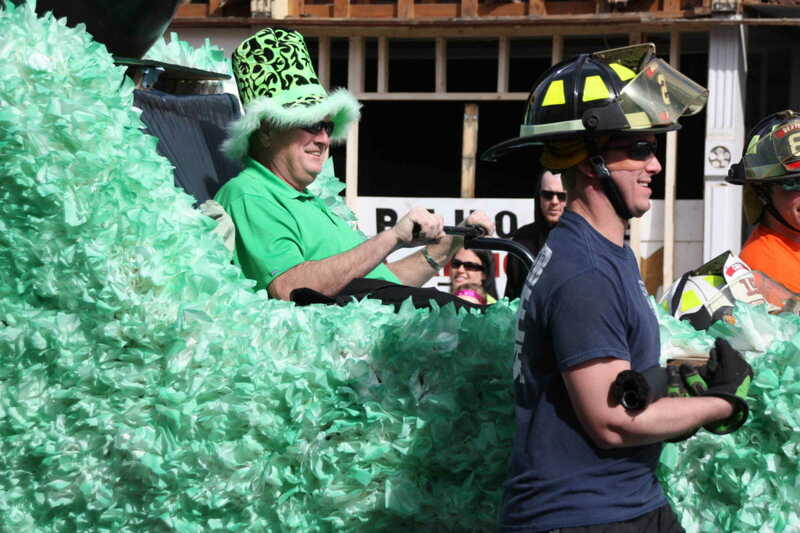 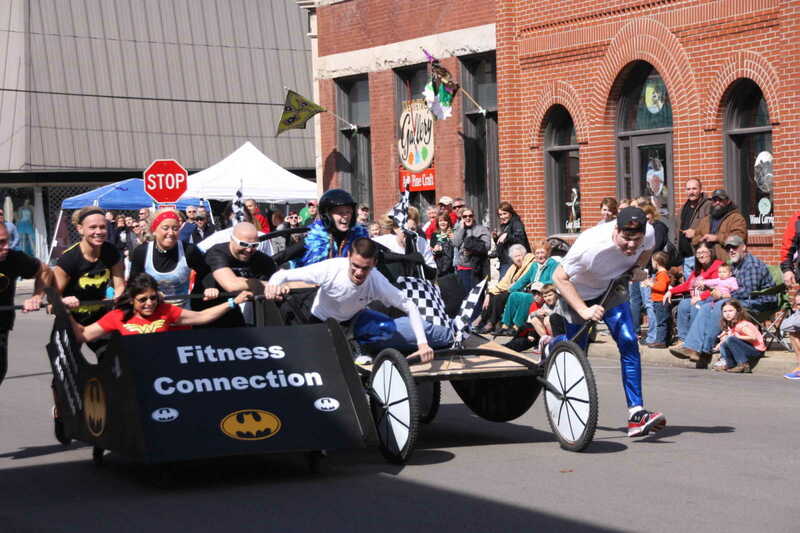 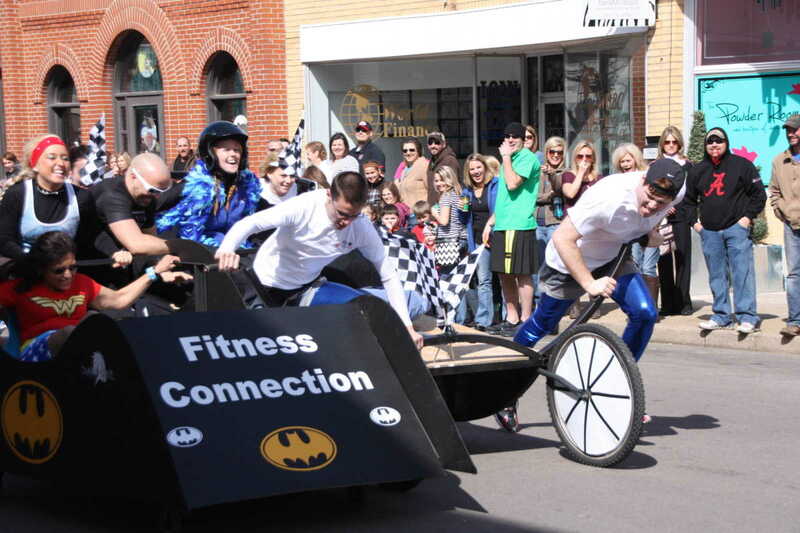 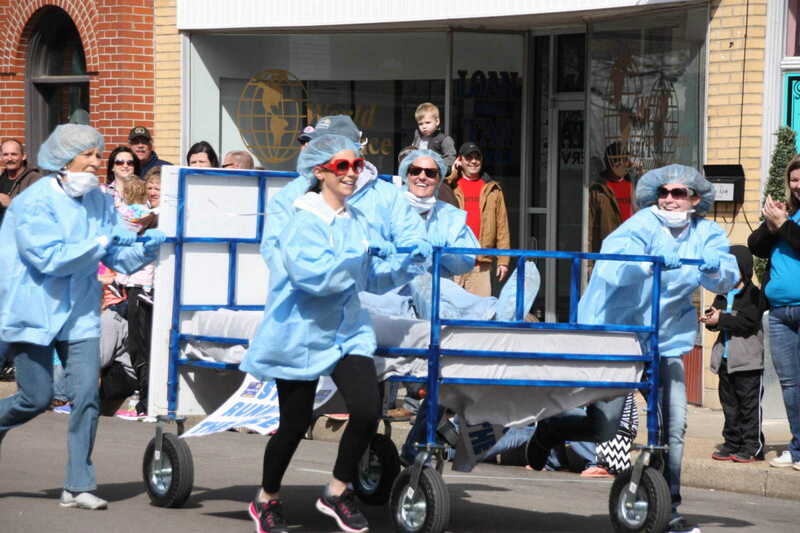 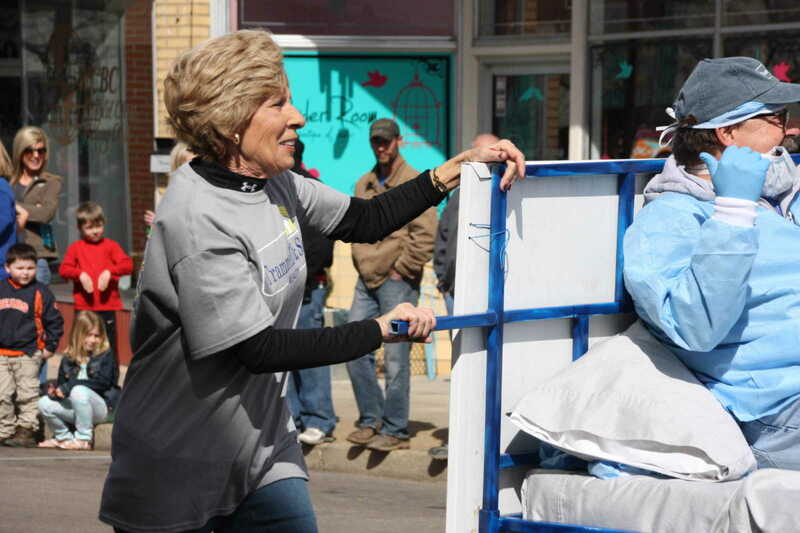 The newly formed Crowley's Ridge Jaycees revived the old downtown Dexter bed races on Saturday, March 15, 2014, with seven eager entries. 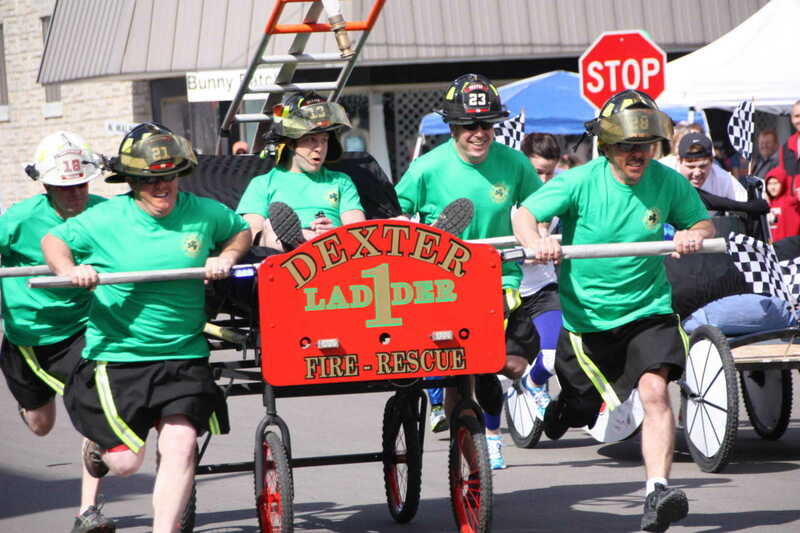 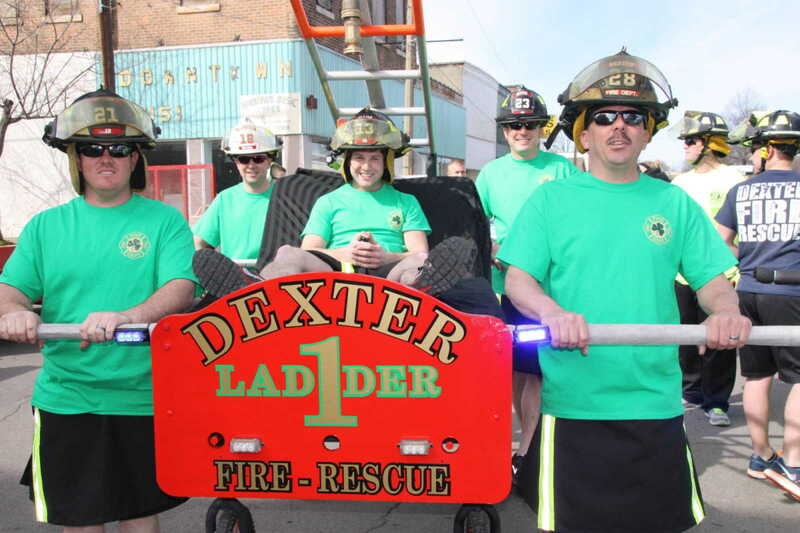 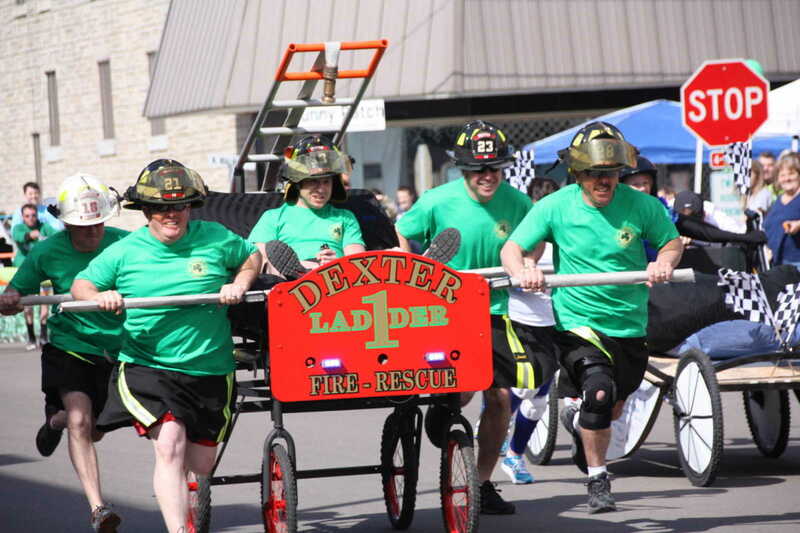 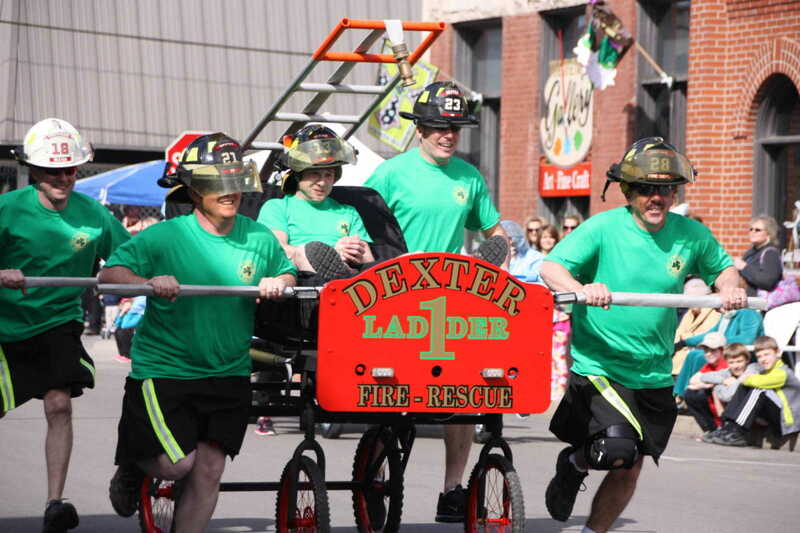 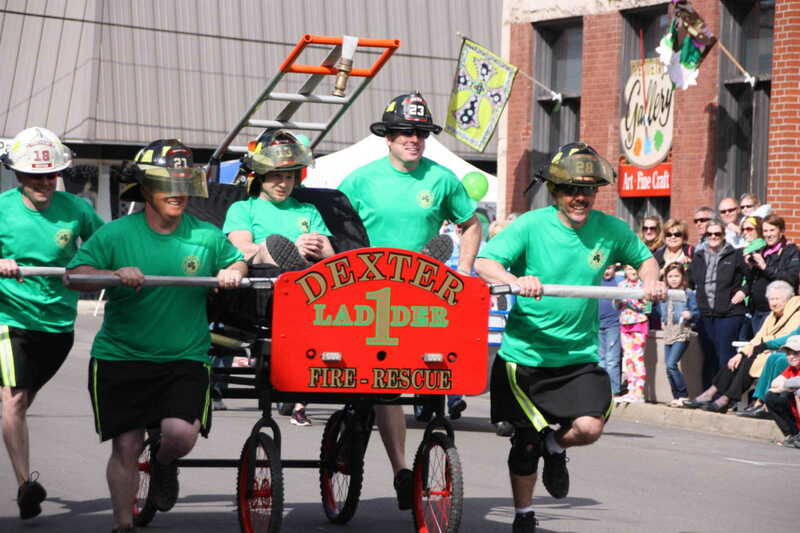 Two entries from the Dexter Fire Department, one from Countywide Insurance, one from Fiddler's Restaurant, one from the Fitness Center, and one from Trammell & Son Realty competed in a block-long race down Stoddard Street. 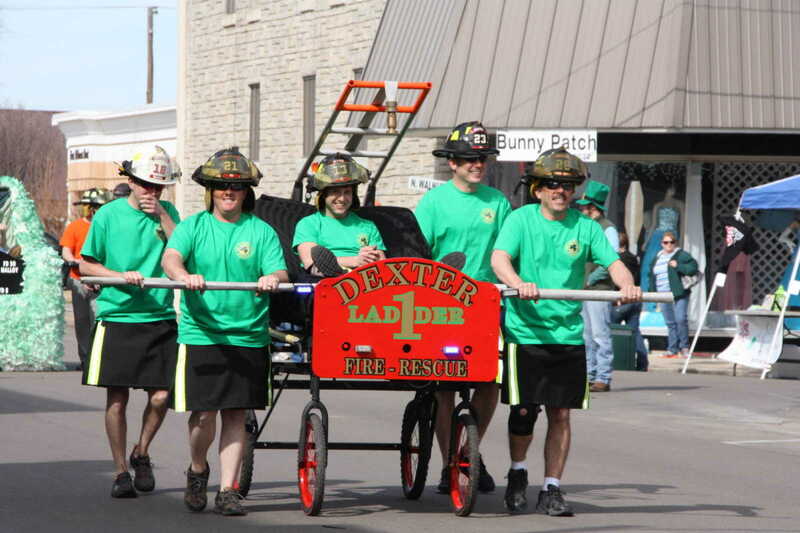 Taking first prize was the bed from Fiddler's, which in the final heat ran against one of the Dexter Fire Department beds. 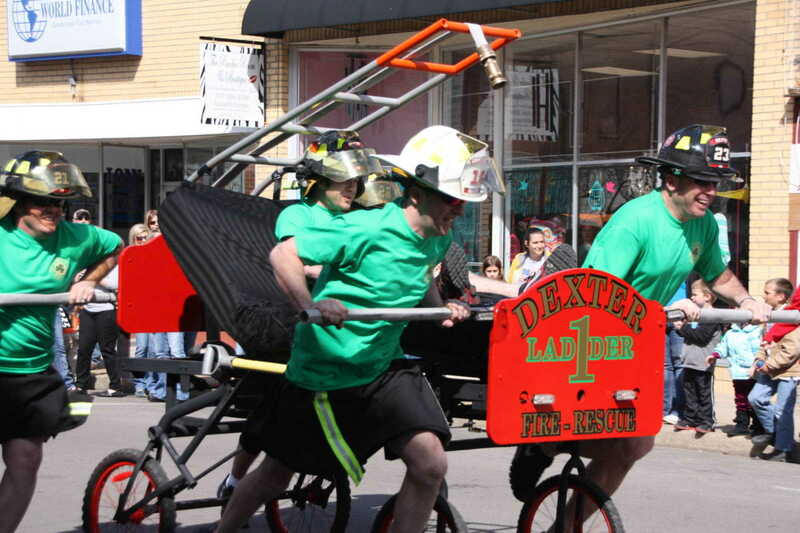 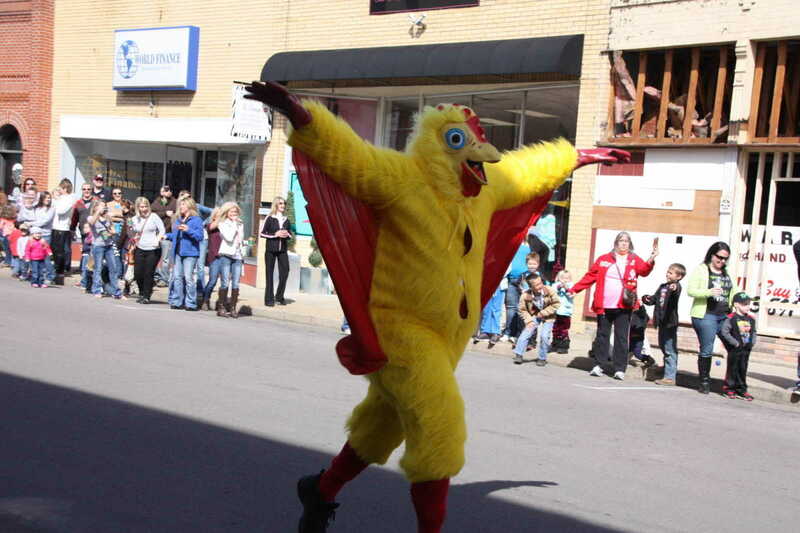 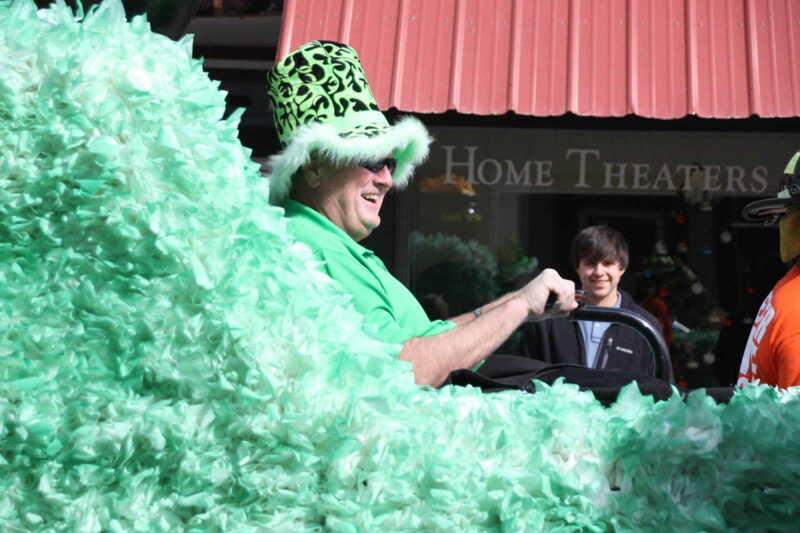 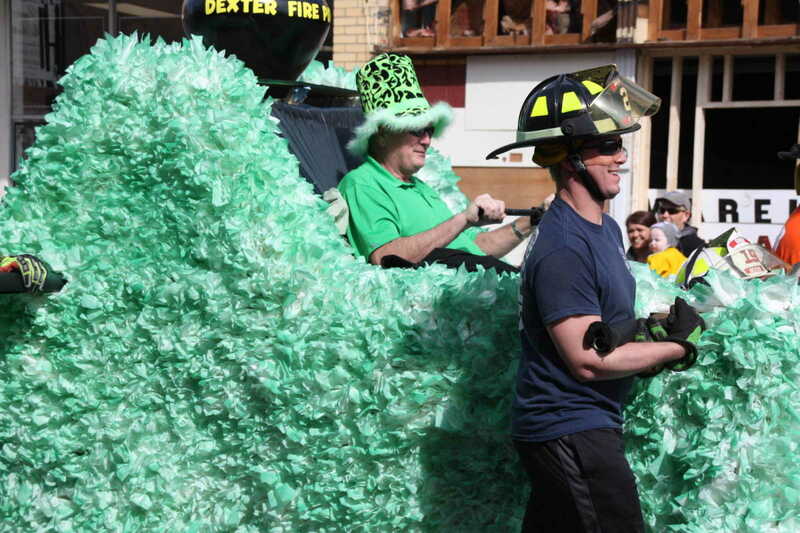 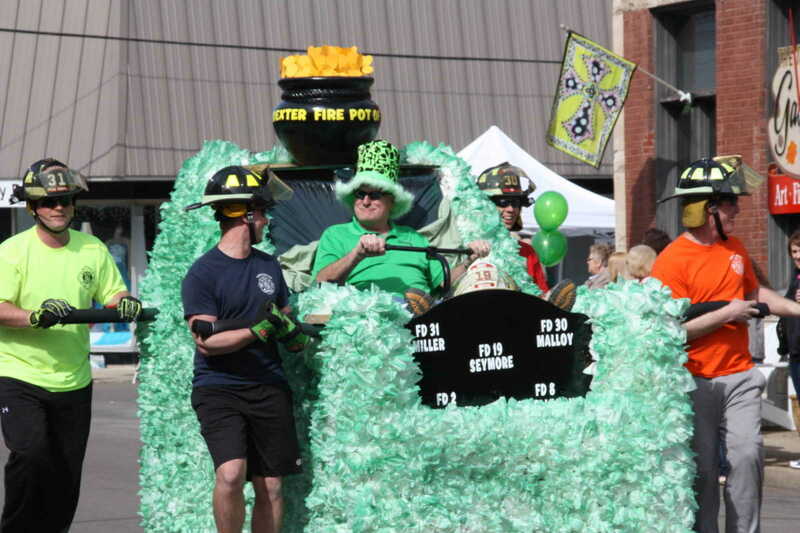 The event is sure to become an annual attraction each St. Patrick's Day weekend in Dexter.